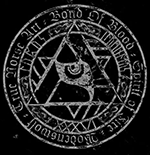 DESPOTZ RECORDS RELEASES “BLODSHYMNER” ON VINYL! New music video “Dödens Dans” out now! New single “Dödens Dans” out now! GRIMNER IS COMING TO CZECH REPUBLIC FOR THE FIRST TIME! Grimner first music video and first single for upcoming album!